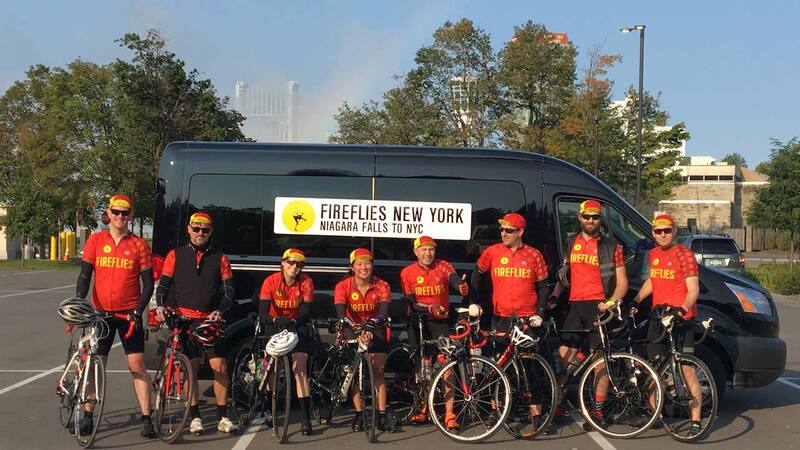 On Sunday, September 10th a group of intrepid riders set out to complete a pilot run for The FireFlies Tour, New York edition. The trip started at Niagara Falls, where the team began their 550-mile journey which will take place in a span of 6 days, arriving this Friday in New York City. Their incredible effort is to raise money for The Leukemia & Lymphoma Society. Inspired by the courage it takes to fight cancer, The FireFlies is a celebration of life, love and friendship. Over the past 16 years FireFlies has helped to raise over £1.7m for Bloodwise, the charity dedicated to funding world-class research and support for anyone affected by the hundreds of blood cancer related disorders. Please Donate to support to TEAM's Suffering! You can do so by clicking here.